We love how Fox’s MasterChef takes talented home cooks and tests their skills on a very public stage. We’re constantly impressed with the chefs’ ability to create unique dishes under pressure. 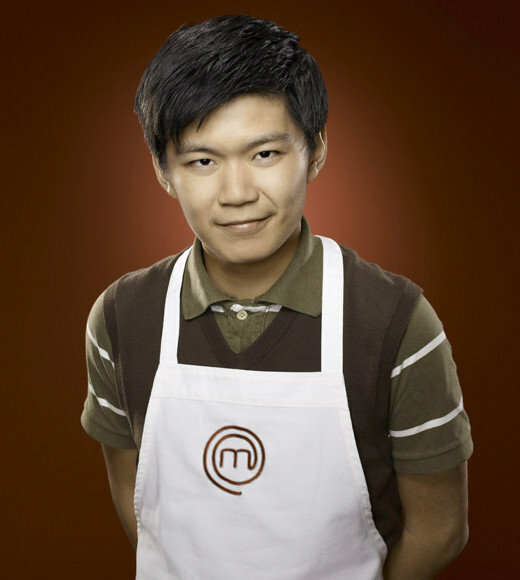 We recently reached out to MasterChef Seasons 3 ‘s own MC , Michael Chen (MC3Michael) to learn more about him as well as his plans for the future. MC: I started cooking because I’m by nature a curious person. I’ve been fascinated about why certain foods taste so good, and how you turn relatively unappetizing raw ingredients into amazing finished dishes. The thing I enjoy most about cooking is enjoying and sharing the finished product with other people. FP: Tell us about your experience on Master Chef from casting to filming. What was it like to compete with the others? What did you learn from the judges? MC: The whole MasterChef experience was like nothing I’ve ever experienced before. There is both a production side, which you don’t see, and the competition side, which is the part they tend to emphasize. The competition was great, since I’m a competitive person. It can be frustrating though when things are out of your control, such as when the judges make you second guess yourself. It’s all a big game that needs to be played, and not just a cooking competition. FP: Now that MasterChef is over, what are your future plans? What are you up to currently? MC: I’m currently working full time in a restaurant as a basic cook. It’s not ideal and I would like to be able to grow and move on to bigger and better things, but right now I’m just trying to get as much experience and learn as much as I can. I’m hoping to be able to partner with some people with restaurant concepts, but that’s still a long way off. FP: We have no doubt that you’ll be successful in developing restaurant concepts in the future! Name some of your favorite chefs (if any) and why. MC: Geoffrey Zakarian is one of my favorites because he does a great job of blending the old school with the more modern techniques. He has a great personality as well, and is probably one of the strongest chefs in the country. I also have a boy crush on Yigit Pura. He’s a super cute pastry chef that won the first season of Top Chef Just Desserts. He just recently opened a pastry shop in San Francisco (named Tout Sweet) and I’ve been DYING to go visit. FP: When you are home, what are some of your favorite meals to cook for yourself (If any)? If you go out to eat, name some favorite places in Austin or other cities you’ve visited. MC: When I’m home alone, I love eating simple, hearty food, like slow roasted pork shoulder, sauteed kale and bacon, an all-in-one-pasta dish, things like that. My favorite places to eat in Austin include Foreign and Domestic, and Uchiko (where I’ve been staging on and off for the past few months now). FP: We’ve heard nothing but great things about the food scene in Austin and hope to visit in the near future. MC: Sometimes I’m lazy, and I will fall victim to a craving for frozen convenience food. I hit the drive through maybe once a month (fried food is probably my absolute nemesis). If it’s crispy, crunchy, greasy, and highly seasoned, I’ll probably fall for it. FP: We’re with you about crispy, crunchy and greasy! MC: Gordon Ramsay: I’d make him a cheddar apple pie and make him like it. Ellen Degeneres: I’d probably have to make something vegetarian (which I’m fine with), but the conversation would be KILLER. Matthew Mitcham: Another not-so-secret gay crush of mine. I’d make a romantic 3-course meal and try and woo him over. In three words, how would your friends describe you? MC: Introverted: While I love spending time with people, I can’t seem to handle social situations very well and always seem to manage to make myself or somebody else feel awkward. Passionate: I’m passionate about the things and issues I care about. I’ve gotten into more than a few heated discussions about politics and the like. Impatient: I hate being disappointed, so if you say you’re going to give me something, I want it NOW. FP: Share with us some of your non-cooking related hobbies? MC: I love playing tennis, making music, and (if gas wasn’t so expensive!) taking long road trips. I love driving. FP: Thank you so much for your time, Michael. We wish you continued success in all your future endeavors. Be sure to keep us posted!